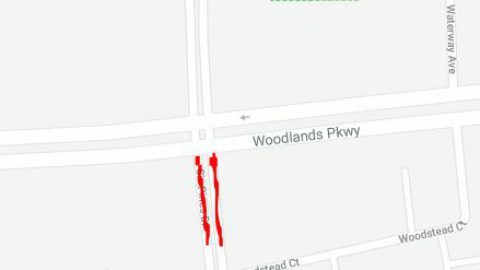 The southbound lane of Fox Run Boulevard at Rayford Road will be closed Wednesday, Feb. 6, as construction crews install storm pipes underneath the road. Residents still will be able to exit Fox Run at Rayford Road on Wednesday but may experience some delays. 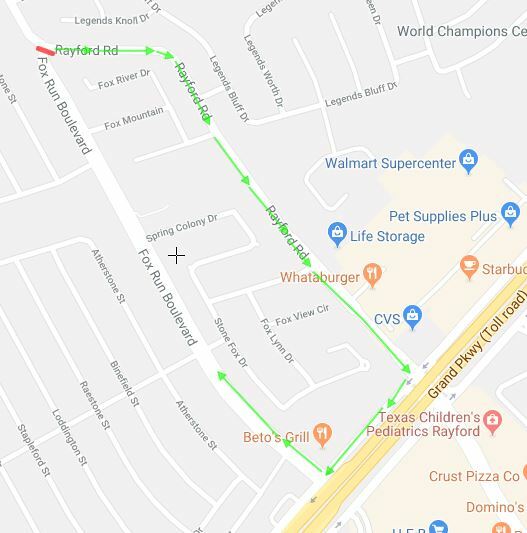 Residents and drivers who need to access the Fox Run community can take Rayford Road to the Grand Parkway, stay on the frontage road and turn right onto Fox Run Boulevard. 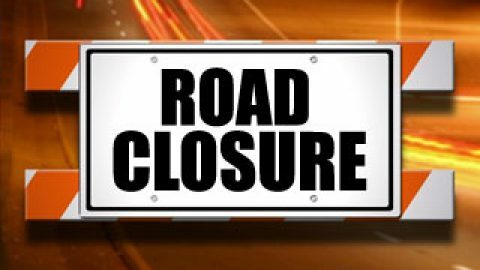 The northbound lane of Fox Run Boulevard at Rayford Road is scheduled to be closed Thursday, Feb. 7, in order to complete the storm sewer installation under the road. Residents will be able to enter Fox Run off of Rayford but may experience some delays. This is part of the storm drainage system for the ongoing Rayford Road widening project.